1. 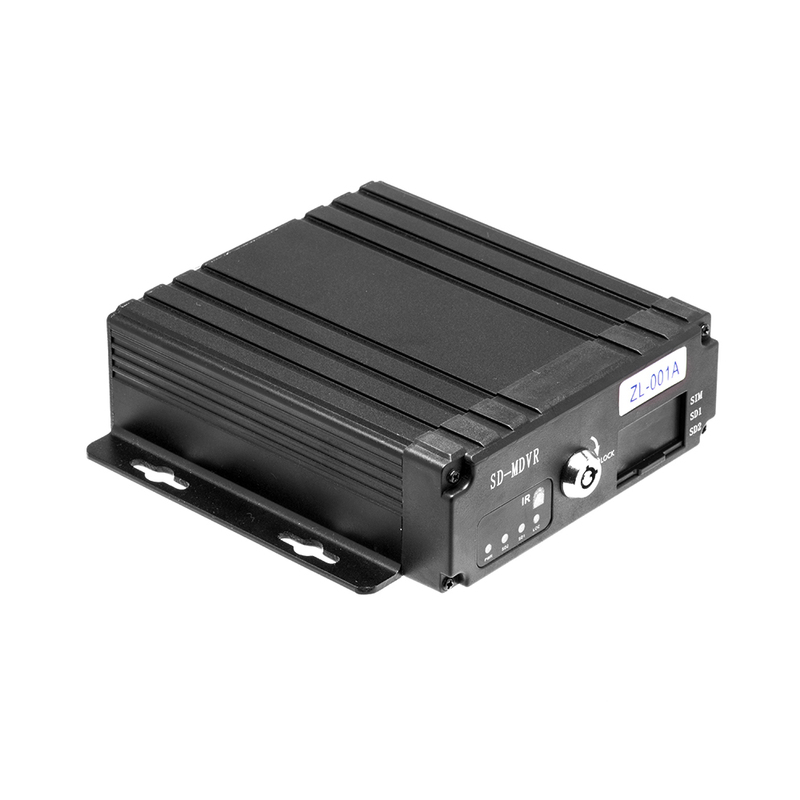 Industrial design, mini body, easy installation, compact and reliable. 2. 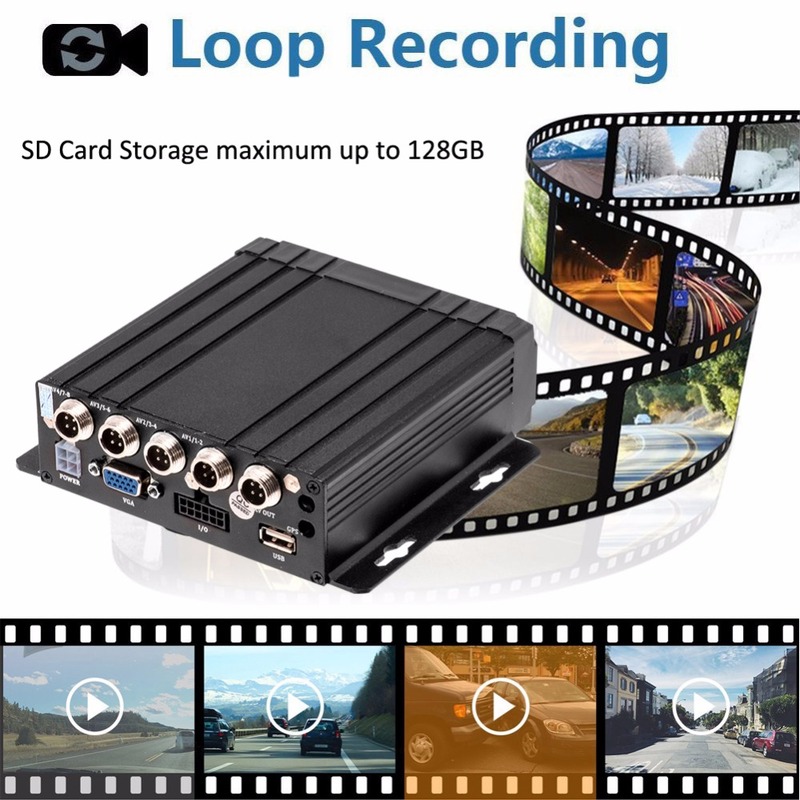 H.264 video code, high compression ratio, clear image, take up less disk space. 3. 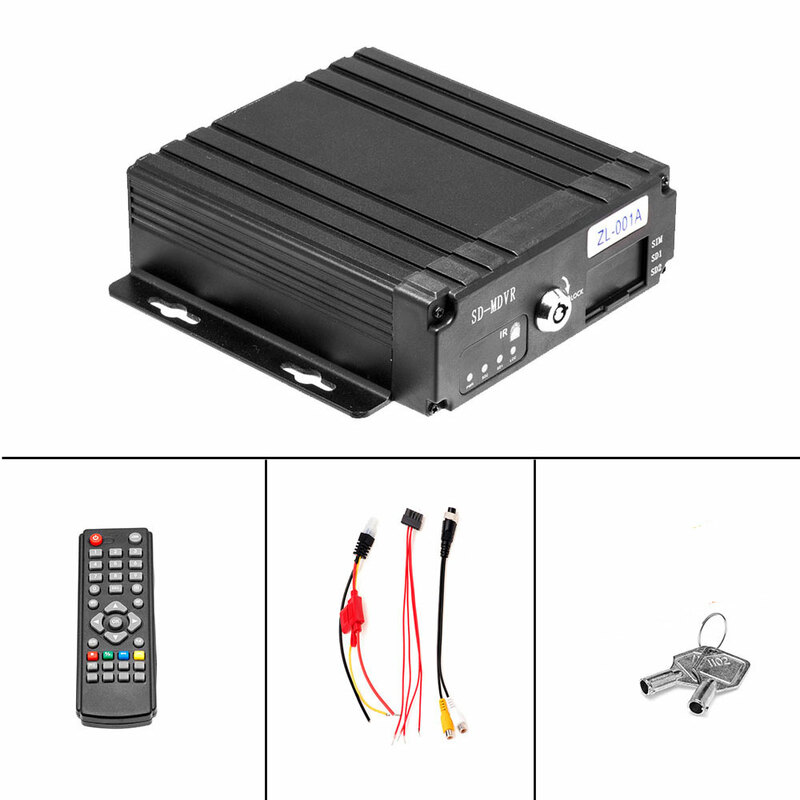 Professional car power supply, with overload / short circuit / reverse connection and other protection circuits. 4. 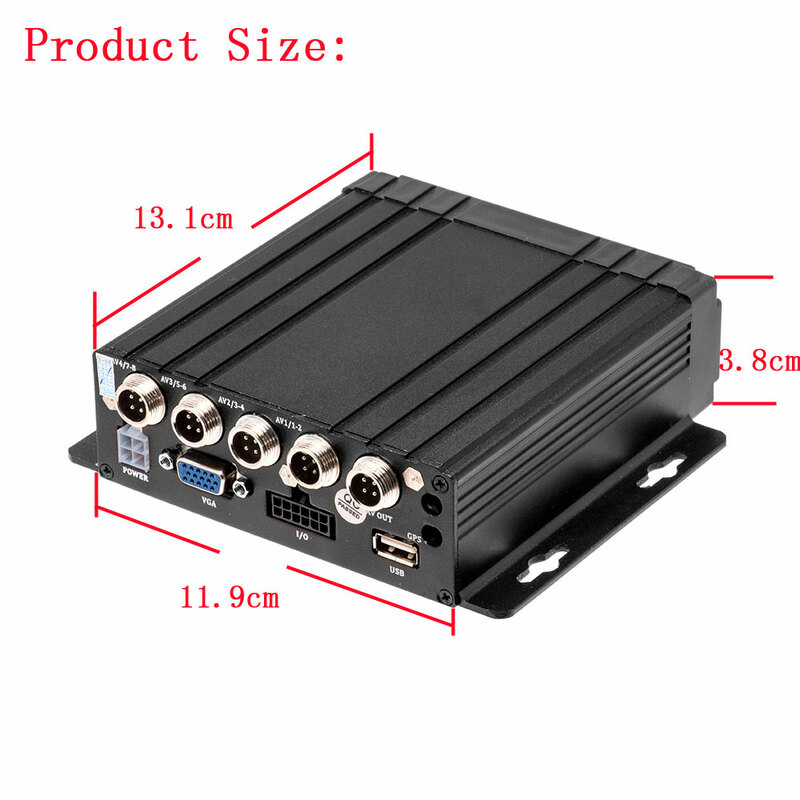 High-performance Aviation plugs, High Cost Performance with reliable stability,simple and clear operation menu, excellent anti-vibration performance. 5. 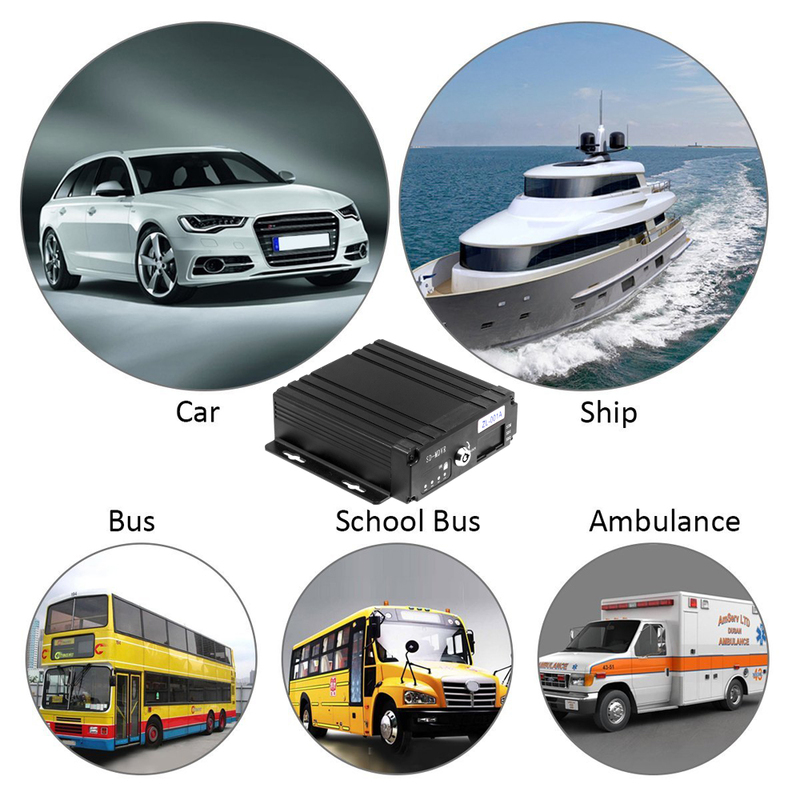 Professional video file system, storage space pre-distribution, 4 channel file records. 7. 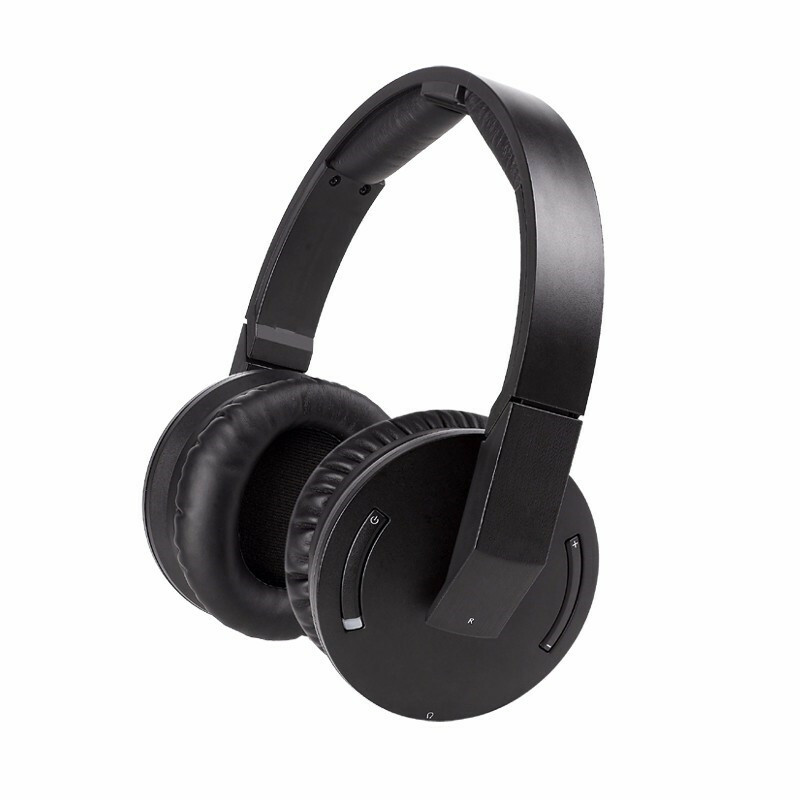 Special design of encrption to protect recording file., have memory function. 8. Independent delay shutdown circuit, the system can continue to record after ignition off, the delay time can be set. 9. 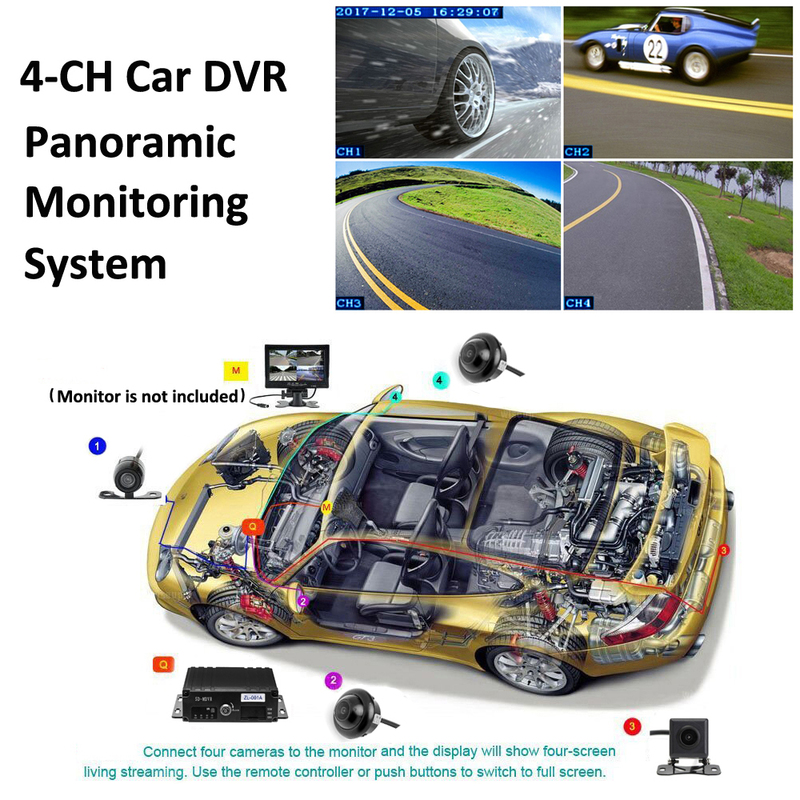 Offer platform (http://139.196.44.71/80gps/login.html) providing playback, analysis, management and other functions. 13. Support fast forward and rewind playback. 14. 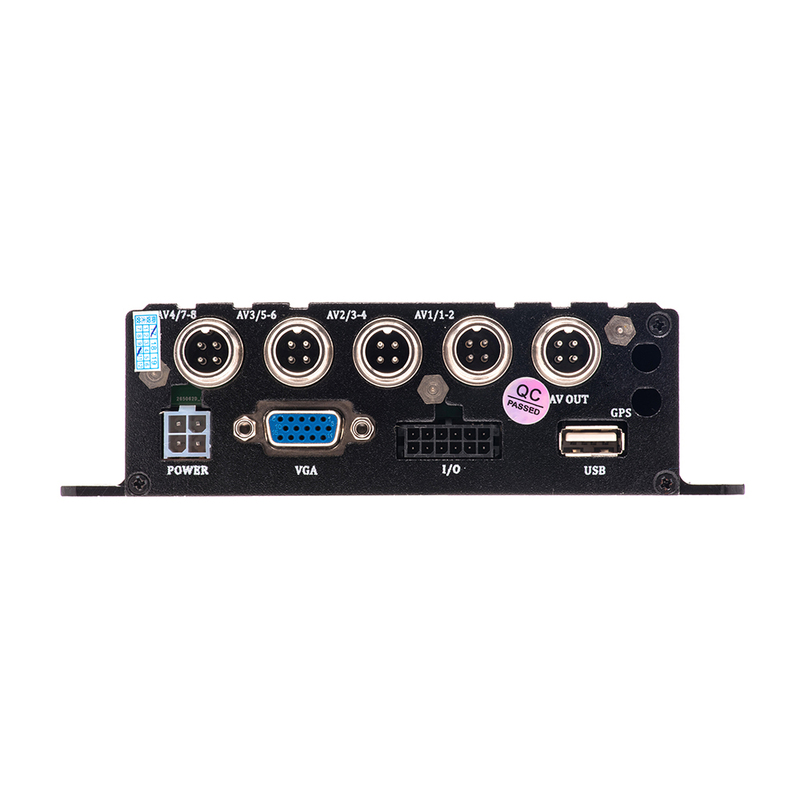 Support four channel 4pin connector video input. 15. 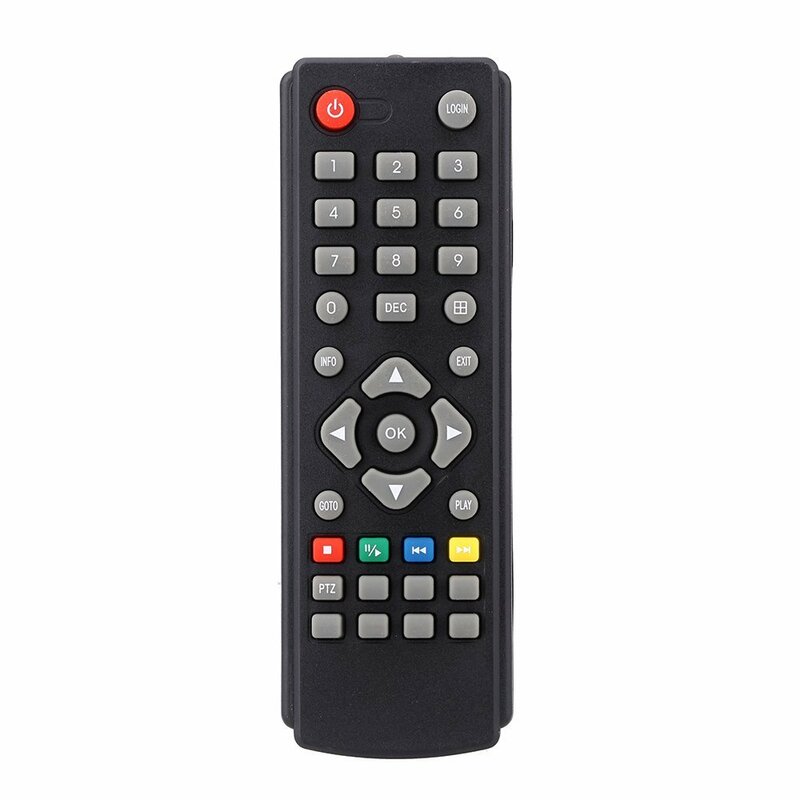 Support IR remote control. 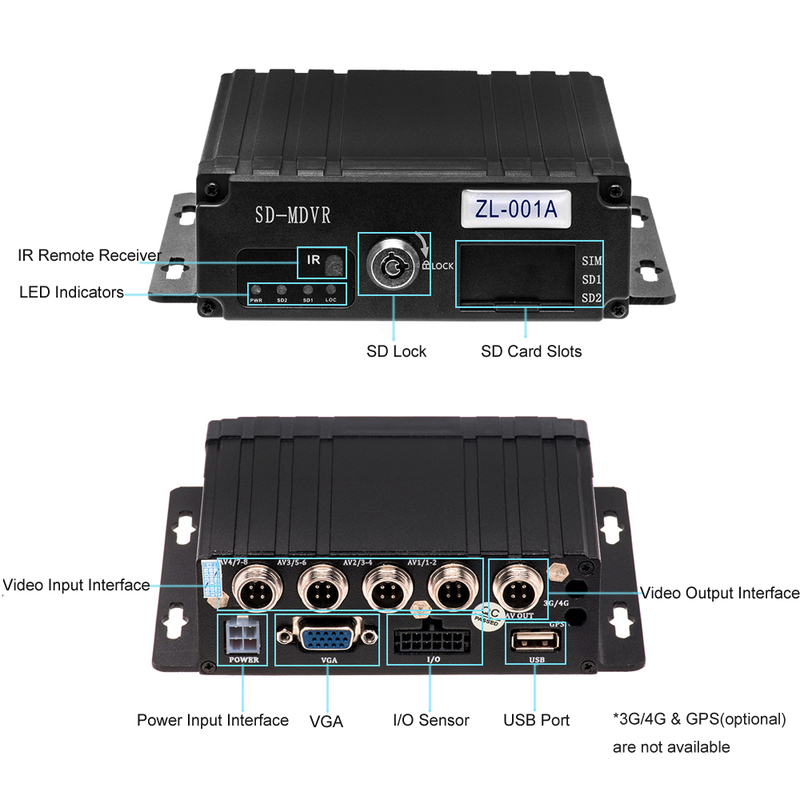 16.Support four channel 4pin connector video and audio input, one channel AV connector video and audio output.